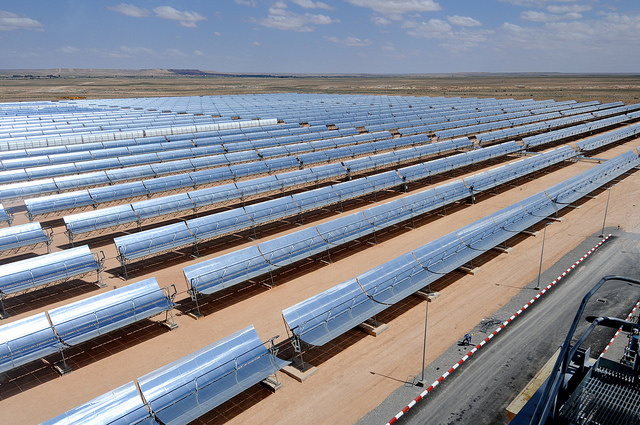 Zawya reports on new plans in Morocco to construct five solar power stations, with a combined generation capacity of 3.5 GW in various parts of the country. The plan is part of Morocco’s strategy to build a green energy industry in the country, eventually having renewable energy fulfill 42% of Morocco’s needs by 2020. “The company is now preparing to invest more than USD 2 billion (MAD 17 billion) in the construction of solar power plants in Morocco over the next five years,” said the Arabic daily Hespress.